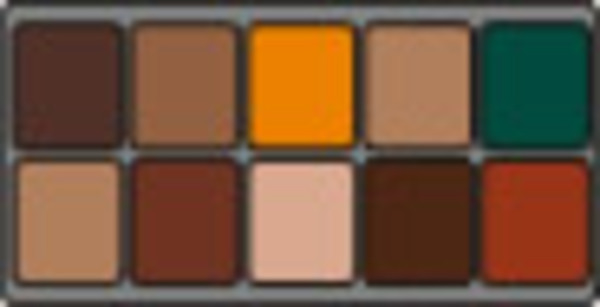 REEL FLESHTONE PALETTE KIT (Dark) is created for the darker skin tones. 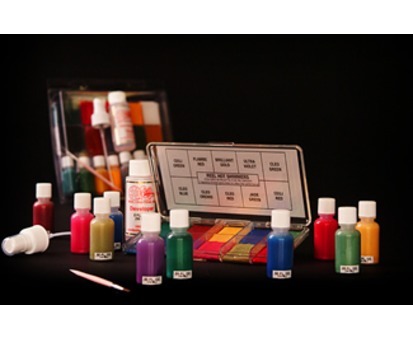 To be used the same way as the regular FLESHTONE PALETTE. The kit comes with 10 ea. 1/2 oz. 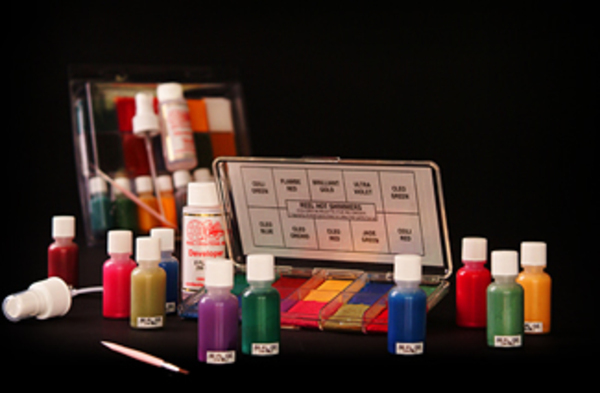 bottles of supplemental liquid colors for either refilling your palette colors, painting or airbrushing.